Motherhood is not what it used to be, as more moms than ever before are having children later on in life. This is the must-have book for all moms who had a child after the age of 35--a group the medical profession not-so-kindly calls--'advanced maternal age.' 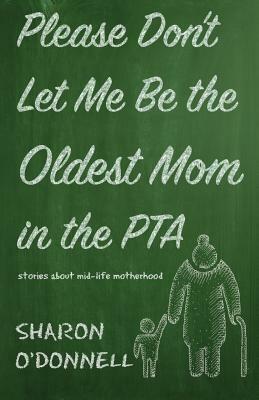 Sharon O'Donnell writes about the humorous and poignant stories of having a child at 38 and how she discovered that breastfeeding and AARP membership aren't really all that far apart. Sharon says being a mom of a certain age can be tough and rewarding--and rather alarming when you realize that all the TV programs you watch have commercials for incontinence or the Scooter Store.